Scott Childs is our Pastor. He and his wife Melody have been serving the Lord in our church since its beginning. They both earned bachelor’s degree from Maranatha Baptist Bible College, in Watertown, Wisconsin, USA in 1980. Scott’s BA was in Bible and Pastoral Ministries and Melody’s BA was in Bible and Education. Pastor also earned a master’s degree from Northland Baptist Bible College, in Dunbar, Wisconsin, USA in 1996. Pastor and Melody started the Northside Baptist Church in March of 1994. Pastor Childs preaches Bible messages that are aimed at pointing people to the way to heaven, strengthening Christians, and solving problems. 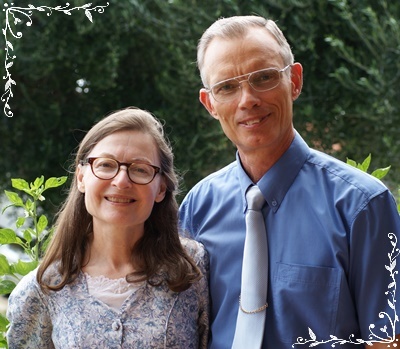 Pastor and Melody spent seven years as Baptist missionaries in Papua New Guinea. Pastor has written study material in the Pidgin language and he still speaks the language fluently. They have three boys who are now grown. Their eldest son is a missionary to Papua New Guinea. Pastor Childs enjoys woodworking, gardening and painting in his spare time. Melody struggles with fatigue, but she enjoys sewing when time and energy permit it.